Forget cloning dinosaurs; how about 3D-printing them instead? That’s what a team at Drexel University set out to do with a new project. The researchers use 3D-printed bones--along with some robotics--to simulate how dinosaurs moved. The idea behind the project is for paleontologists to get a real sense of the way dinosaurs moved about by simulating their motion in the lab. Of course, it’s impossible to use real dinosaur bones for this sort of project so the team came up with a different plan. Instead of trying to use the real thing the team would create mock-ups using scaled down, 3D Printed versions of the dinosaur bones. 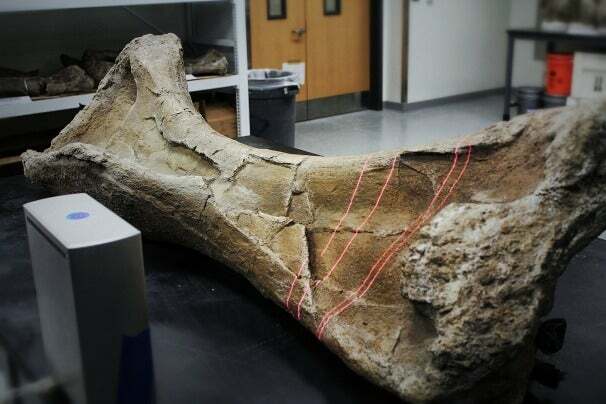 The team, lead by paleontologist Kenneth Lacovara, hopes that the 3D-printing technique can also help the field in other ways; for example, it could help compensate for warping that might occur in some fossils over millions of years of fossilization and compression. The project is still in its early stages, but but the Drexel team plans on progressing quickly. They hope to have a working dinosaur limb by the end of the year, and a full robotic dinosaur within the next two years. We’ll be sure to let you know when they’ve worked up to Batman’s robotic t-rex here at GeekTech.